It’s crazy the amount of work that goes into a music video, I just want to say here how grateful I am to all the lovely people that were a part of the video. It was such an incredibly fun day filming. 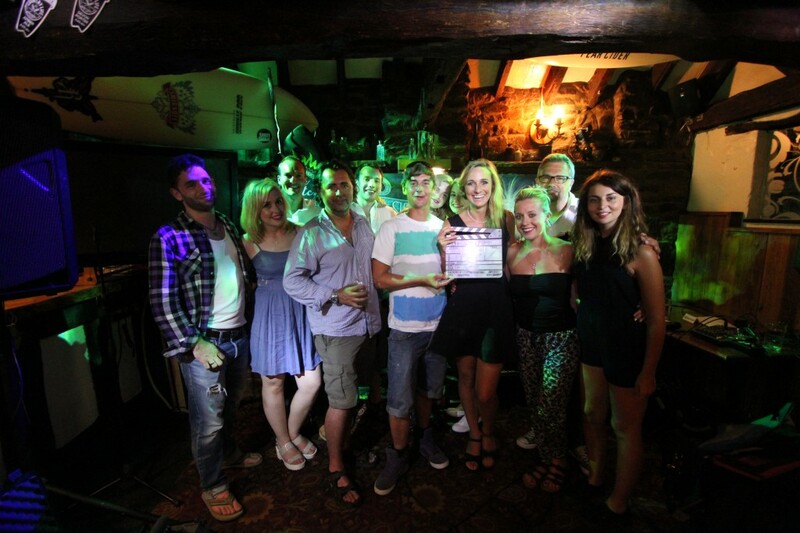 Middlechild Productions are absolutely AWESOME; I feel honoured to have been able to work with such a talented crew. I am also so grateful to Steve at The Thatch for being an incredible host and looking after us so well all day, too – keeping us fed and watered and allowing us to film in his awesome pub. Along with the amazing video crew (especially David Sumnall, who directed it) the wonderful post-production team (massive thanks to Phil for editing it!) and all the actresses and actors in the video (including two of my best friends – Kate and Sam..YAY! ), the star of the day has to be Caro Zaliskyj. He played the role of my naughty boyfriend and surf instructor in the video and is an incredible, world class local surfer from Devon. He kept us smiling from 7am through until 2am when we wrapped the next day. I promise he’s not misogynistic at all in real life! I am so excited to finally be able to share the official music video for “Make my Day”. I hope you enjoy it! Please don’t forget to share it with all your friends!